Today I want to share with you that the List Love Master Course from Jennifer Maker is on a FLASH sale. From today March 25, 2019 through Wednesday March 27, 2019 – the List Love Master Course from Jennifer Maker is 25% off – simply CLICK HERE to take advantage of the discount. Typically the course costs $197 but during this sale you can get it for $147. What Is the List Love Master Course All About? You have probably heard it over and over again – if you are a blogger you must have an email list. What do I write once I get them? And then – How does this translate into money? – because that feels sleazy. Well, the List Love Master Course walks you through all those questions and gives you ideas and techniques that you can use to grow your email list without the sleaze factor. Who Is This Jennifer Maker? Jennifer Maker is the author of this course and she blogs at JenniferMaker.com. Her blog is a craft blog, of all things. And, using the process that She outlines in the List Love Master Course, she has grown her email list from basically zero to over 115K (yes 115,000) subscribers in about 2 years. I found Jennifer quite by accident at the beginning of her journey and her growth has been phenomenal. She has a really sharp mind for strategy and she works really hard too. So, when Jennifer started creating courses, I was all ears. It turns out that Jennifer is also a great teacher. Will This Course Work For You? That is the big question, right? One person's success does not always translate to another, even if you buy the course. From my own experience, I have quadrupled my email list using what Jennifer outlines in this course. My list was small to begin with and is still small by most standards. However, the way I implement is much slower. I take things at my own pace and that works for me. So, my answer is that you will get out of this course what you put into it. Will This Work for Your Niche? 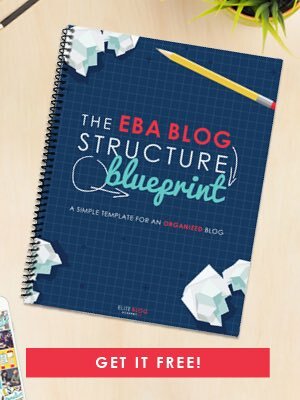 I have to say that if you are a craft or DIY blogger, this course will give a super blueprint that you can follow to a “T”. But if you are in a different niche, you will need to thing creatively to make the strategies work for you. I know – it sounds like me – but it's not! Do I need a Specific Email Platform to Make This Work? Jennifer uses ConvertKit as her email service provider – so her tutorials are made using this service. Personally, I use MailerLite in combination with Thrive Leads and love it. I have been able to apply what she teaches in the List Love Master Course to Mailerlite with no issues. But I think it helps if you are comfortable with the features your email service provider offers and how it works. 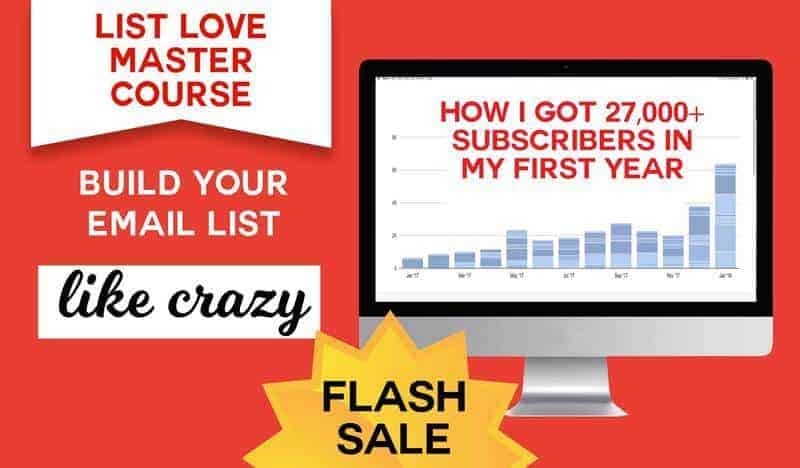 If you are struggling with growing your email list or just plain stuck, I suggest that you at least check out the List Love Master Course to see if it speaks to you. Take advantage of the FLASH sale – it expires at midnight on Wednesday March 27, 2019.